Off Late a lot of people have been writing to me regarding Direct Access and SCCM Internet based client management. So , I thought I would clarify this in the post . 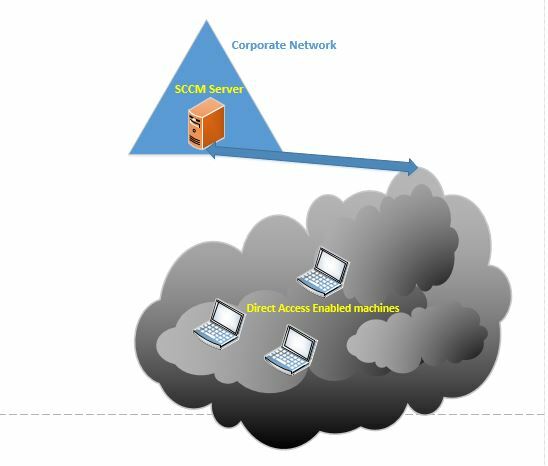 So , if your company has Direct access Implemented then you do not need to Implement SCCM Internet Client Based Management as the Inetrnet Based clients will be managed using Direct Access. Please see figure below for More Clarity.